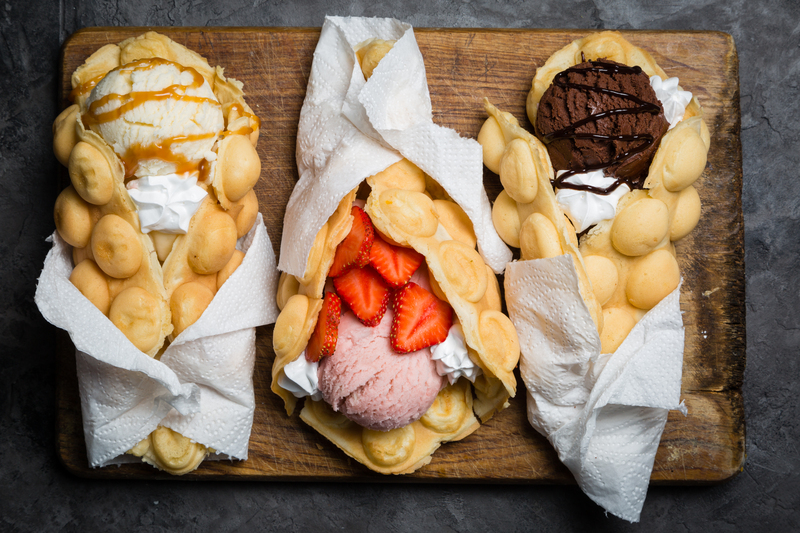 Inspired by a Hong Kong street food known as gai daan jai, this confection is continuing to make inroads around the world … Instead of a Belgian waffle’s grid, a bubble waffle, or egg waffle, consists of an interconnected hive of spheres. Think bubble wrap, but edible (and much less noisy). Now, a café in London has started selling rainbow croissants.The serious stylish pastry features bold shades and precise lines – and you can guarantee they’re as easy on the tastebuds as they are on the eye. The pigmented pastries have been dreamt up by Sarah Barber, a pastry chef who has luxury hotels and Michelin-starred restaurants on her culinary CV. A growing fringe of snackadium builders like Mr. Aron spend days meticulously constructing elaborate football-arena models using Super Bowl party food. Guacamole end zones rest under beef-jerky goal posts. Spectator stands seat hot wings, sliders and sushi. Cocktail weenies become players with Frito helmets. Cheese blocks perched on skewers make excellent stadium lights. A cookbook gives us a walkthrough on how to actually make the foods, which is called a recipe, you see? A dictionary, as can be seen here, explains what a given word of a language means and entails- and that includes from apples to bubble waffles. If you still struggle with the differences, google bubble waffles recipe and I’m sure you will see the light. But if your comment was intended as a joke, it was funny, i guess. In Taiwan we have bubble waffle, too!